I wanted to test out my new road bike more today, OH has been adjusting the brake tensions for me to try and see if it would give more breaking power. I have small hands and limited reach on the shifters so found I didn’t have quite enough power to brake to a complete stop in traffic fast enough and got tired and aching hands after an hours ride. My youngest is suddenly keen on cycling (he’s the same height as me at the moment and rather likes my lovely everyday single speed) and wanted to come too. We persuaded Dad to join us and as Ed only fancied a short half hour ride out with his parents I suggested showing him the quiet route to school and back which would take us to Ravenscourt Park where I could take some photos for Shaz who commented on my blog that she used to go there a “few” years ago. Note to the driver of the car who beeped at us to hurry up when we were waiting to cross 4 lanes of traffic from a side road. Yes I meant every bit (and more) of my 4 letter expletive. – DO NOT EDGE YOUR CAR AGGRESSIVELY FORWARDS AT MY YOUNGEST SON ON MY MOST LOVED BIKE! !- Grrrrrrr! You’re very lucky my OH was there to stop me getting really mad, and then hold you up some more when he unfortunately “failed” to make it across the road at the same time as us! 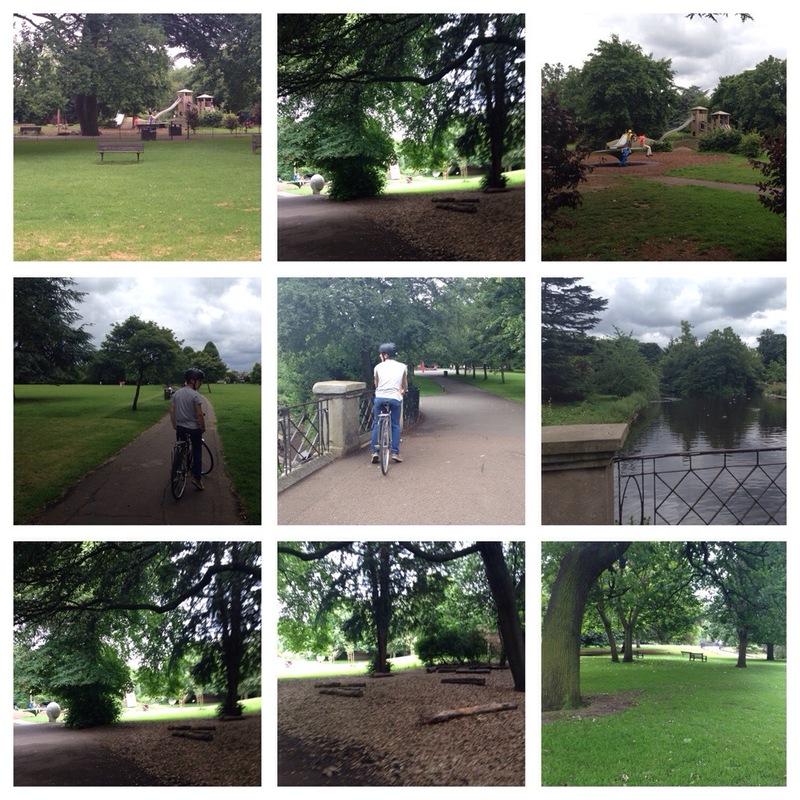 Categories: cycling, Juneathon | Tags: Cycling, Juneathon, London, Ravenscourt Park | Permalink. what an idiot!! I have had loads of cycle rage since getting my bike – can not believe how many idiots walk in the cycle lane and then get annoyed at you when you ring your bell for them to move over! I would have gone slower;) we were beeped at because someone wanted to come and park on the double yellow lines where we were waiting. Words fail me! I can’t believe how impatient some car drivers are. There are a couple of four letter word that sum these people up perfectly! Well done on this family event and well done on using proper vocabulary!